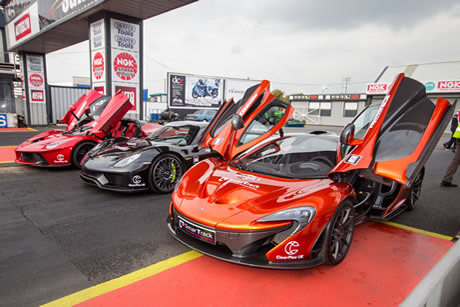 Santa Pod Raceway is available for hire for testing, club days, product launches, training courses, board meetings, exhibitions, events and photo-shoots throughout the year including weekdays and/or weekends. 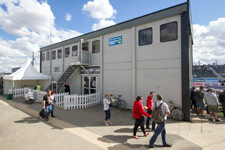 The conference centre, track, campsites, 30 acres of open tarmac or entire site can hired depending on requirements. 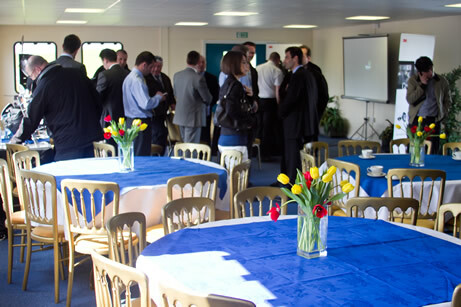 Situated in the heart of Northamptonshire 20 miles from junction 15 of the M1 motorway and only a short distance from Wellingborough train station Santa Pod Raceway is ideally located to cater for your businesses conference and hosting requirements. 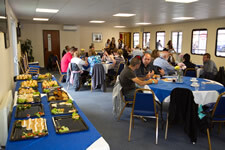 Santa Pod Raceway's conference centre can cater for up to 120 delegates with a 100sqm conference room downstairs and an additional 90sqm room upstairs that can be split into 5 private meeting rooms. There is WiFi in the conference centre and all technical equipment can be provided including projectors if requested in advance. 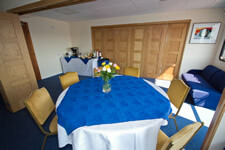 Catering services can be provided from coffee and tea to finger buffet or three course lunch. 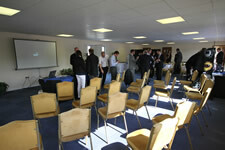 The conference facilities are available all year round, seven days a week, 8am to 6pm or by arrangement. Please phone 01234 782828 for pricing. If you require a dedicated testing session then the Santa Pod track can be hired with or without, lights, timing equipment and a fully prepped track. Ambulance, fire cover and track crew are provided with a full track hire. Fancy something a little different for your club day? Then why not try a private midweek track hire, a closed event dedicated to your club members. 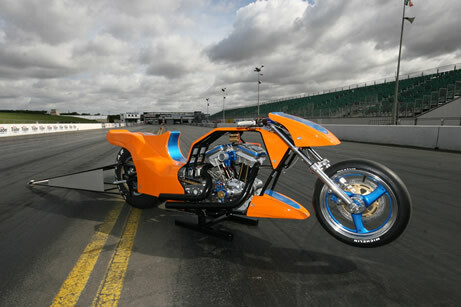 The Santa Pod Raceway site can be booked for photoshoots for either magazines or companies. 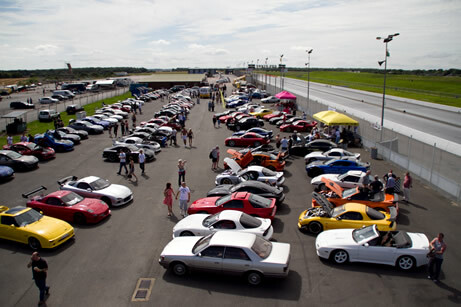 Santa Pod is a popular venue for TV filming, programmes that have filmed here in the past including Top Gear, Fifth Gear, Brainiacs, Scrapheap Challenge. For more information and prices please telephone Darren on 01234 782828.